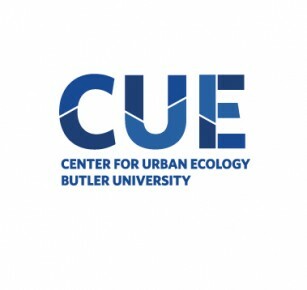 Butler’s Center for Urban Ecology, the Indy Hunger Network, and the Indiana Healthy Weight Initiative have received a $50,000 Indiana State Department of Agriculture grant that will double the buying power of food-stamp recipients who shop at farmers markets and simultaneously help small farmers. The program, which begins Saturday, Nov. 9, at the Indy Winter Farmers in downtown Indianapolis, will enable anyone who receives food stamps to use “Fresh Bucks” to purchase items such as broccoli, sweet corn, green beans—most anything you’d find at a farmers market. Fresh Bucks will provide a dollar for dollar match, up to $20, for every Supplemental Nutrition Assistance Program (SNAP) dollar spent on Indiana-grown fruits and vegetables at participating farmers markets. Funded by a Specialty Crop Block Grant from the Indiana State Department of Agriculture, with additional funding provided by the Indiana State Department of Health and the Indiana Family and Social Services Administration, the program is modeled after initiatives in other states that have resulted in increased consumption of fruits and vegetables as well as business growth for small farmers and farmers markets. After its launch at the Indy Winter Farmers’ Market, Fresh Bucks will expand to Binford Farmers’ Market, Broad Ripple Farmers’ Market, Crooked Creek Farmers’ Market, Growing Places Indy Summer Farm Stand at the Chase Near Eastside Legacy Center, and the Original Farmers Market at City Market in the spring of 2014, with hopes of expanding to farmers’ markets beyond Marion County in the future. In addition to using some of the grant money to provide Fresh Bucks, Money from the grants will be used to hire a coordinator to market the program and provide outreach to SNAP recipients. Mink said the organizations working on Fresh Bucks plan to do fundraising to sustain the program. “There’s little doubt in our mind that the seed funding we have now for the actual doubling should be able to make it for two years, if not three years,” he said. Led by the Indy Hunger Network, Fresh Bucks is a coalition of the participating farmers’ markets, the Organizing Committee of the Indy Food Council, Indiana Healthy Weight Initiative, Indiana Family and Social Services Administration, Indiana Cooperative Development Center, and Butler’s Center for Urban Ecology.